Hi. I don't know if you're still working on this mod but if you do can you help me with this error? When I am inside an interior which is in vw I see this. Also some mapping objects don't load. Can you please solve this bug? With EML (emergency lights) mod, there's a bug: the right sided light from the rear of the car it's bugged and only stays on when it should flash too. Hope you understood the problem, can you please fix it? I'd love to see it. With ELM (emergency lights) mod, there's a bug: the right-sided light from the rear of the car it's bugged and only stays on when it should flash too. I'm getting my FPS limited to 60 in the last version and I checked the disable FPS limit box, anyone having this problem too? I also can't use SA-MP Addon with this mod here. I wonder if there's a way for both to work together. SAMP addon allows the lights to be switched off to be individually. You can either edit the mod yourself or ask the server owner to implement an ELM script within the server. Edited February 27 by Mace. I installed a samp addon from the zip but I deleted it, it didn't delete fully though, I still got the /pagesize 30 thing and nametags disappear when I take pictures with a camera. How do I delete it fully? Are there any contraindications to using Samp Addon and Silent Patch together with mixmods at the same time? Does samp addon already do the things that these modifications do? Unhandled exception at 0x04C96AA9 in audio.asi (+0x56aa9): 0xC0000005: Access violation reading location 0xC4B482CF. can you post not modloader's crashlog? I'm not sure why but I'm finding it very hard to not let cars spin out with the latest update. Slowest and gentlest of turns and I manage to spin out a Premier. When I uninstall samp-addon problem gone. did you read changes before? Hey Nom, There is a mouse input lag issue that i feel with samp addon, Do you know about it already could it be fixed in the future? Does it mean that it will be harder to drive at high fps than so far? Can you make sure that peds do not disappear inside the buildings? Yes, I find it easier driving at a lower FPS on a different PC. Cars go sideways way too quickly so I have uninstalled to not be banned for suspected handling mods. I'll post here again when I crash. @nonamenoname Hey dude, question. I play on some 0.3.DL servers and I like to use my own modified skins over their server-sided skins so what I'm doing is finding the appropriate .dff/.txd's in their cache folder and replacing them. SAMP Addon seems to be forcing me to re-download the server-sided mods in original each log in. Is there any way I can have this disabled by chance? @nonamenoname Can you fix how the wheels go into the wheel arch too much? It happens on the LSPD & SFPD cruisers and cars like the Tahoma. Hey @nonamenoname, thanks for SAMP Addon. 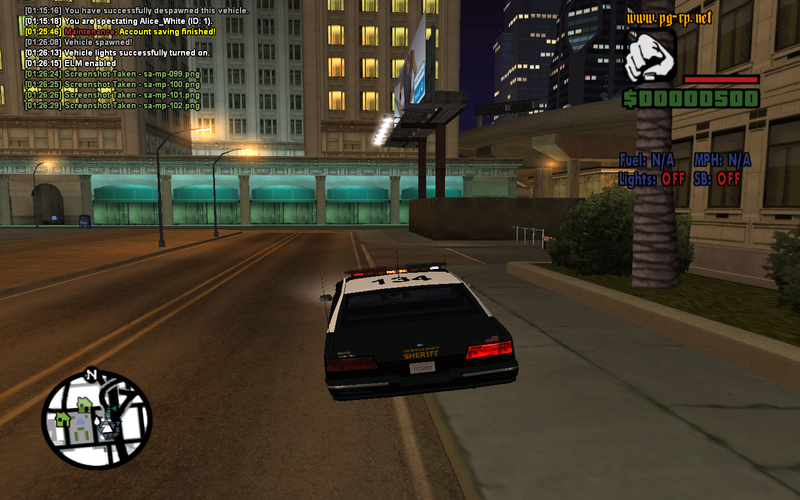 I've a problem with MoonLoader: Lua scripts don't work, this happens when I create disableantiesc.txt in GTA:SA folder. If I delete this txt, the Lua scripts work again. I would appreciate if you could fix this because I need to activate the pause menu. Crash when closing the game. I guess it's a problem with SAMPFUNCS. Fixed slow speed of angle move of players and vehicle on low FPS, better synchronization!